Ready to start your culinary career? 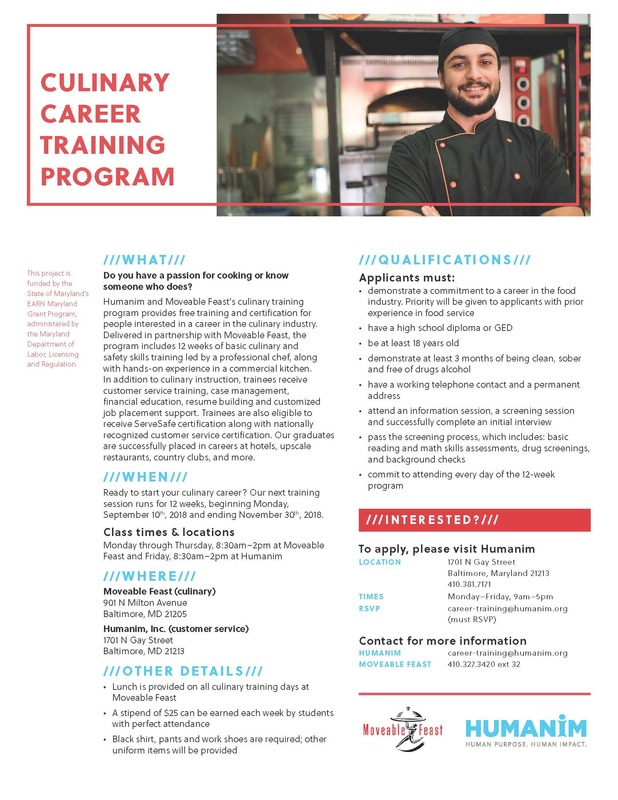 We are currently recruiting for our next FREE Culinary Training Program in partnership with Moveable Feast. Participants receive professional, hands-on culinary training, customer service training, job placement assistance, and are eligible to earn their SafeServ certification. Our culinary training graduates are successfully placed in careers at hotels, upscale restaurants, country clubs, and more. Next training session runs for 12 weeks starting September 10th! 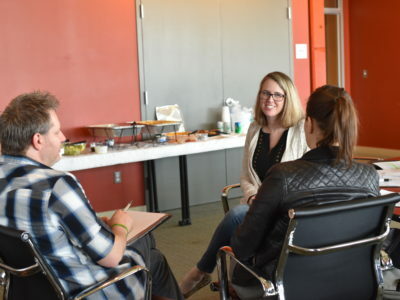 Our Behavioral Health Department is embarking on a year-long initiative to become effective agents of change for the individuals we serve through Motivational Interviewing. 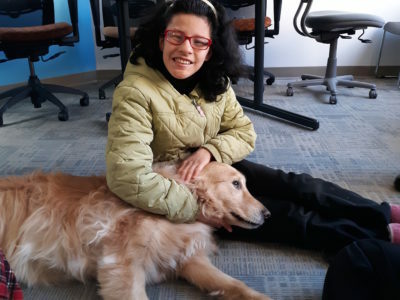 Continue reading "Behavioral Health Initiative: Motivational Interviewing"
We recently partnered with Pets on Wheels to bring therapy animals to individuals at our developmental disabilities day program in Columbia. Holly the Golden retriever visits us every other Tuesday in the afternoons to put a smile on everyone’s faces. Continue reading "Pets on Wheels at our Gerwig Day Program"
We are currently recruiting for our next FREE Pre-Construction Career Training Program, in partnership with Baltimore City Community College (BCCC). This program provides skills training, certification, job placement assistance and job support, while preparing participants for careers in the cabling and wiring field. Continue reading "Pre-Construction Career Training – June 2019"
© 2019 Humanim. All Rights Reserved. Humanim is a not-for-profit, 501(c)(3), organization.